We have written a couple of times about the Sustainable Development Goals (SDGs) or Global Goals 2030, an agenda providing a global blueprint for dignity, peace, and prosperity for people and the planet, now and in the future. Today, we will specifically focus on two goals that are very strongly interlinked with each other – SDG 4 and SDG 8. The Goal number 4, Quality Education, “ensures inclusive and equitable quality education and promotes lifelong learning opportunities for all”. The Goal number 8, Decent Work and Economic Growth, “promotes sustained, inclusive and sustainable economic growth, full and productive employment and decent work for all”. The experimental kit with business games Ökonopoly combine both SDGs in a playful experience for students. Many reports state the importance of education for employment and growth in general, for example, its impact on Gross Domestic Product growth or on private returns (individual wages/income). So why not combine both goals in a playful experience for students to learn about economic aspects? The experimental kit with business games Ökonopoly does exactly that. It was developed by the German association ALWIS Saarland (ArbeitLebenWirtschaftSchule – WorkLifeEconomySchool), which was founded in 2003 to foster the interconnection between schools and the economy. It supports students in choosing a career by organizing job information days, Girls’ and Boys’ Days, summer camps with workshops and games, and many more. 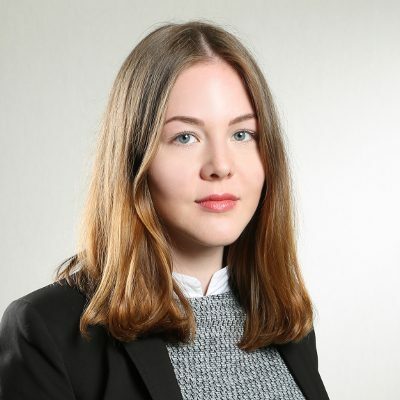 We had the unique opportunity to interview Sabine Lauer, the Managing Chairman at ALWIS, and talk with her about Ökonopoly and how it can be used in educational settings. Sabine, could you briefly describe what Ökonopoly is and how it works? Ökonopoly is a game box available in German. The collection offers five economic experiments or games which can be ca rried out in class with students: Firstly, there is the Market Experiment, which is about price setting with regard to supply and demand. Next, we have an experiment called “Team Player or Free Rider,” which looks at the usability of public goods. The third experiment in the box deals with the exchange in an economy, based on the division of labor, and the fourth is about matching processes in job seeking. Lastly, there is an experiment about the trade between two nations. 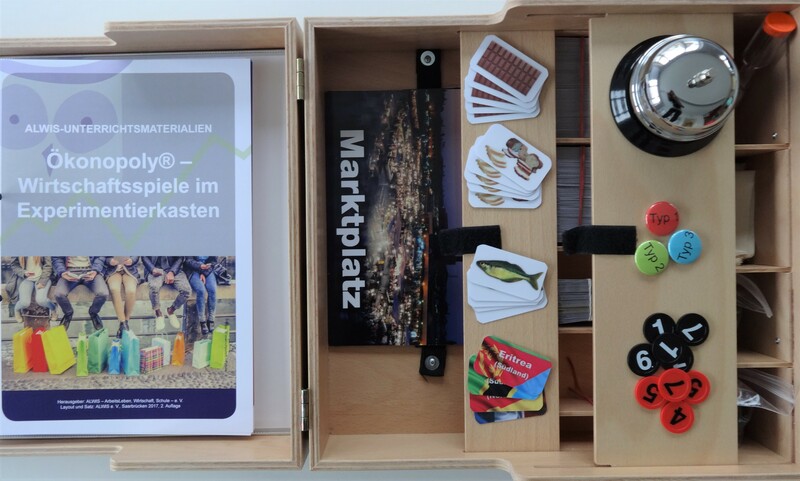 The Ökonopoly game box contains the necessary materials, the instructions for the experiments, and ideas for combining interesting learning topics. There are different variants and tasks for students of intermediate (middle school and high school), which can be selected depending on the application. 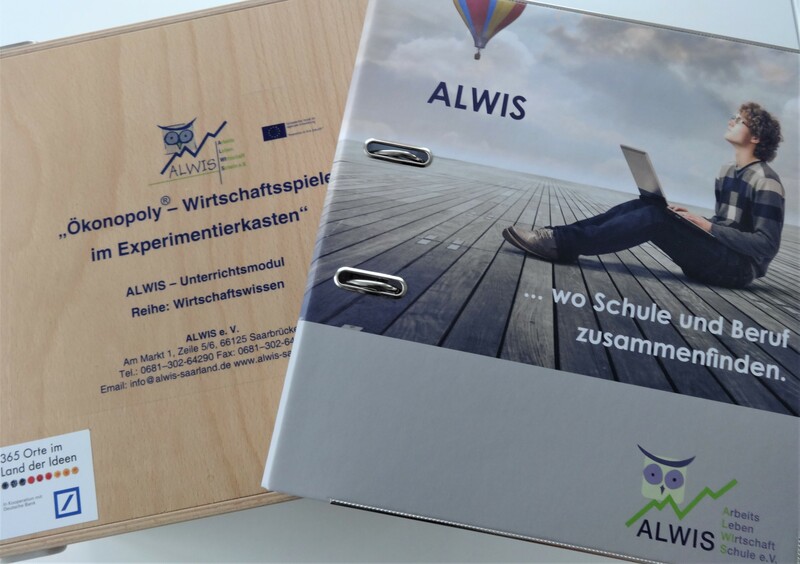 The ALWIS aims to provide schools with additional materials, projects, and events about business knowledge, career orientation and furthering the interest for STEM subjects. How did your team get the idea of creating a game to teach students about economic topics? Our association ALWIS aims to provide schools with additional materials, projects, and events about business knowledge, career orientation and furthering the interest for STEM subjects. As practical exercises are particularly important to us, we use games and experiments to offer playful learning. What do you think are advantages of game-based learning? Games are fun. And learning with fun is easier. Plus, the students can experience concrete examples and try out how the economy works. Games have a stronger impact than verbal and frontal teaching. What was the main challenge in designing Ökonopoly? There were quite a few challenges to overcome: The content of the experiments was developed at universities and had to be adapted to the students’ levels. The compilation of documents and presentations for a simple and modern implementation in class was essential. And last but not least, the wooden box had to be produced and equipped. In Ökonopoly, even simple economic terms are suitably explained for the age group. Are there any specific skills required to play the games? No, there are no special requirements. In each game, even simple economic terms are suitably explained for the age group. What are the most important lessons that can be learned from participating in the experiments? It is not possible to put the importance of one learning content against another. They include questions from pure economic content, environmental issues, and social aspects to ethical values. Perhaps the most important lesson is to realize that there is a connection between all of that in economic processes. How flexible is Ökonopoly regarding its application in different settings? Can others apply the games in their educational work, too? Yes, because of their diverse content-related key aspects, the experiments can also be used in other subjects apart from economics. Particularly in politics and geography, but also in ethics and philosophy, and partly in mathematics. Did your work on Ökonopoly influence your knowledge about economic topics? Of course, it did. We always learn when we work on something extensively. For example, it still fascinates me to see how, after several rounds of playing, an equilibrium price is settling in the Market Experiment, or how much a single person can change the result of “Team Player or Free Rider”. If you had to choose one favorite experiment out of the five to recommend, which would it be? Within the Ökonopoly game box, I particularly like the Market Experiment. It is very simple and illustrates well how a completely chaotic market gets organized by itself. Additionally, the experiment allows for learning content ranging from the diversity of people operating in the market with different preferences to the profitability curve. After graduating from high school in 1992, Sabine Lauer studied law and social studies in Saarbrücken, followed by modern German linguistics with minor subjects in political science and literature. She completed in 1998 as Magistra Artium. During her studies, she worked as a freelance trainer for Peugeot Germany and after that for Dekra Academy. From 1999 she worked as personnel officer for the financial services center of Mercedes Benz Bank. 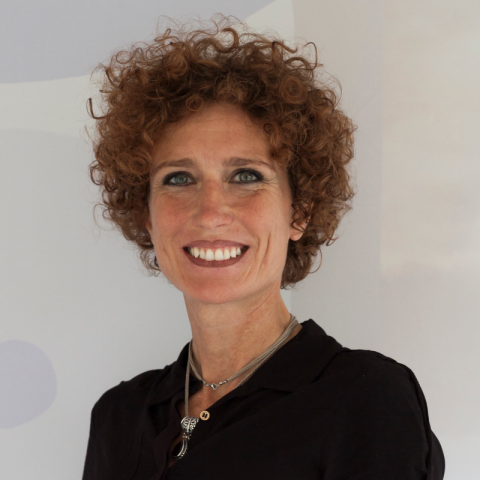 In 2007 she changed to ALWIS – ArbeitsLebenWirtschaftSchule (translated WorkLifeEconomySchool), where since 2008 she holds the position of Managing Chairman. Keeping a strong interest in imparting knowledge, she is engaged in the creation of new teaching materials regularly.